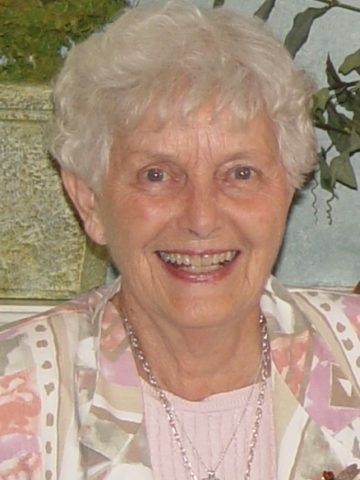 Mary Ella Carr, 89, went to be with the Lord on February 3, 2017 in Nashville, Tennessee, surrounded by loved ones. She was born on March 4, 1927 in Birmingham, Alabama, where she met and fell in love with her husband Jim. They raised their four children in Circleville and Cleveland, Ohio and retired in Ponte Vedra Beach, Florida. In their later years, they moved to Franklin, Tennessee to be closer to family. She is preceded in death by her husband Jim, two brothers, and her sister. Mary Ella epitomized southern hospitality and charm, and instilled in her children an appreciation and love for the arts and the importance of good manners and a sense of humor. Her faith in Christ grounded her and gave her hope, comfort and peace throughout her life. She loved being by the water, singing, reading novels, painting, and keeping up with current events. She is survived by her four children, Cindy Carr (Jon Danniells), Brad Carr (Bessann), Beth Cohen (Dan), and Amy Linde (Mace); nine grandchildren, Ashley Carr, Adam Carr, Lauren Strickland (Mark), Jeremy Cohen, Matt Carr (Liz), Carra, Holt and Grayson Linde, Skye Danniells, and great grandson Ezra Carr. Her life celebration will be held on Saturday, February 11th at 1:00 pm at Christ Community Church, 1215 Hillsboro Road, Franklin, TN 37069. Donations can be made to Truth for Life, PO Box 398000, Solon, OH 44139, or Christ Community Church Missions Fund, 1215 Hillsboro Road, Franklin, TN 37069.